We are making great strides in education by enacting unique ways to reach higher academic standards. Donate now and support Mobile County Schools' instructional and extracurricular initiatives through out safe, simple, web-based fundraising platform. Everything that we do falls into one of six goals outlined in our strategic plan that represent out blueprint for improving student achievement. The Mobile County Public School System is committed to ensuring that the content on this website is accessible to everyone, including those with disabilities and users of assistive technology. For more information about our Website Accessibility, or how to file a formal Section 504 or ADA (Title II) Complaint, see our Website Accessibility/Notice to Disabled Persons information page. 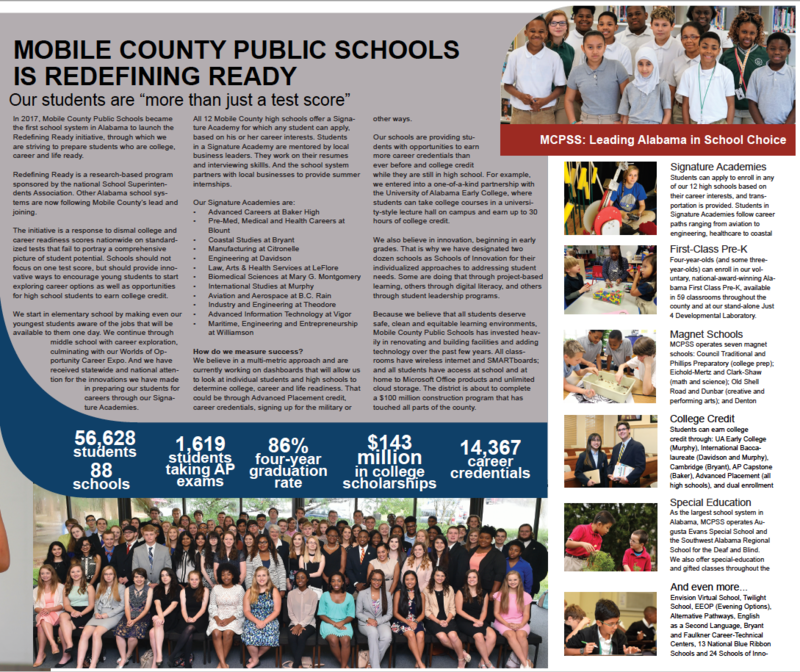 Mobile County Public Schools has earned and maintains system accreditation through AdvancED.